At Aadhar Psychiatry Hospital, we aim at providing quality psychiatric treatment services at an affordable price under one roof. 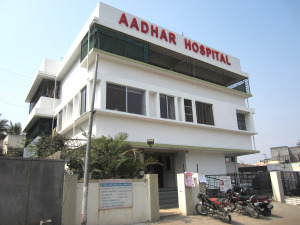 At Aadhar hospital, our team takes the utmost care to treat the patient. we are always concerned for the patient’s well-being. We always strive to make your visit or stay a pleasant one. We offer specialized care of individuals suffering from addiction problems, sexual problems, child psychiatry, neuro psychiatry, rehabilitation and all other types of psychiatric disorders. We provide support and care for all your mental heath issues. Alcohol de-addiction is not just about taking medicines. It involves patient and family education, counselling, motivation, support groups and regular follow-ups along with proper medicines and expert supervision.This comprehensive alcohol de-addiction treatment is available at Aadhar Hospital. Aadhar Hospital not only ensures that you get rid of your addiction, but also ensures that you do not fall back into addiction. 7.5 years of committed service of psychiatry patients. Centre lead by qualified and experienced psychiatrists. Experienced, qualified and caring team of mental health professionals committed to continuously improving the patient experience. Protocol based management of common psychiatric disorders. Close proximity, very good rail and road connectivity of Solapur to Pune, Mumbai, Hyderabad, Vijapur and Gulbarga. Safe and monitored premises with quality essential amenities specially designed for care of psychiatry patients. Best class treatment at affordable cost. Pleasant and soothing environment in hospital vicinity. Medium sized hospital setup which ensures personalized attention to each patient. Recommendations by the patients in the past reflected in the positive feedback received from them.